“Then Jesus said to the woman, “Your sins are forgiven.” ; “‘And Jesus said to the woman, “Your faith has saved you; go in peace.”” Luke 7:48, 50 NLT. I don’t know about you dear friend, but my what a lovely thing that was for him to do. To hear such a thing would bring joy and tears to my own eyes, so I can only imagine how she felt to kneel at his feet and hear those words. To forgive her of all her sins, even when she didn’t ask it. All she could do was cry, weap and wipe His feet with the oils from the alabaster jar. Yet, somehow in her tears, in the midst of her crying, weeping and worrying Spirit, she was forgiven! 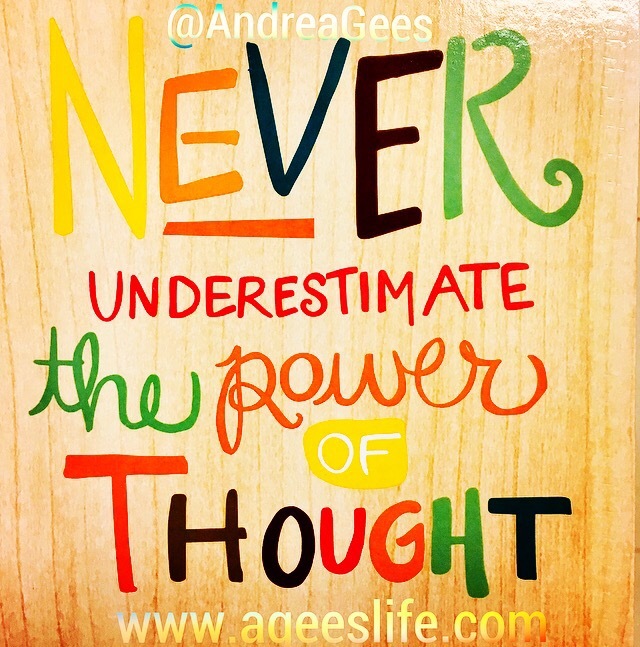 This is why I say, “Never underestimate the power of thought!” Use your mind wisely and fill it with knowledge. Let your imagination explore, allow your brain to think of never ending questions, embracing the world’s knowledge at your fingertips. Make every day count and let not one day go by that you do not question everything and explore the answers for yourself! You never know what your mind can achieve. Scripture shows us just how powerful the mind really is. What you think, you become. What you believe, you will achieve. All things come from up above. Let the thoughts that cloud your mind be good and conducive to your health and well being. I know times may get tough and stress seems unbearable, but you have to look at yourself in the mirror and know that God’s got you and He has a plan for your life. Trouble won’t last always! These tests are just to make you stronger and to give God the glory! Allow Him to use your mind and you can NEVER GO WRONG! Today’s prayer: clear your mind! I pray that God allows your mind to be filled with everything you need to succeed. I pray that He uses the dark spaces in your mind and fills them with light. An unbearable, flourishing fluorescent light that will never burn out. May your thoughts be at peace and your mind allowed to explore to new heights. In Jesus name, I pray, Amen! Writer, blogger, Survivor, A Wounded Healer I Am! Nice little sermon Andrea. It shows that you are exploring the Bible’s messages from God and understanding how to employ them to everyday living. Keepup the good work.